Please read these Terms of Service carefully. These Terms of Service govern your access to this site, as well as all sales of our products, and provision of services. FlyersATL may update these Terms of Service from time to time without notice to you (but the terms existing at the time of any purchase shall apply to such purchase regardless of subsequent revisions). By continued use of our site, or through purchases of our product or our services, you agree to be bound by the terms and conditions set forth in this Terms of Service. In addition, when using particular FlyersATL services, you may be subject to additional posted guidelines or rules applicable to our affiliates or subcontractors, or specific to such services as are posted on our site (or on the sites of our affiliates or subcontractors). All such guidelines or rules are hereby incorporated by reference into these Terms of Service. FlyersATL reserves the right to modify or discontinue, temporarily or permanently, any or all of the Service without notifying you. Further, FlyersATL may without notice terminate your account (or any part) or your use of the Service, and remove and discard any Content (defined in Section 2, below) at any time for any reason or no reason. Possible triggers for such a termination of Services include, without limitation, your failing to regularly use the Service, your violation of these Terms of Service, or changes in the strategic business plans of FlyersATL. FlyersATL shall not be liable to you for any loss or damage you may suffer due to any modification, suspension, termination or discontinuance of the Service. YOU USE THE SERVICE AT YOUR SOLE RISK. THE SERVICE IS PROVIDED ON AN “AS IS” AND “AS AVAILABLE” BASIS. EXCEPT TO THE EXTENT PROHIBITED BY APPLICABLE LAW, PRINTINGATL EXPRESSLY DISCLAIMS ALL WARRANTIES OF ANY KIND, WHETHER EXPRESS OR IMPLIED, INCLUDING, BUT NOT LIMITED TO THE IMPLIED WARRANTIES OF MERCHANTABILITY, FITNESS FOR A PARTICULAR PURPOSE AND NON-INFRINGEMENT. Some states do not allow waivers of implied warranties, so to the extent that is true, such legally imposed implied warranties shall last for the shortest time permitted. Further, to the extent FlyersATL grants express limited warranties below, any implied warranties shall run only as long as the term of such limited warranty. This warranty gives you specific legal rights, and you may have other rights, which vary from state to state or jurisdiction to jurisdiction. EXCEPT FOR THE WARRANTIES CONTAINED IN THESE TERMS, NO ADVICE OR INFORMATION, WHETHER ORAL OR WRITTEN, THAT PRINTINGATL MAY PROVIDE TO YOU SHALL CREATE ANY WARRANTY, AND THESE TERMS CONTROL OVER ANY OTHER SUCH COMMUNICATIONS. FlyersATL’s entire liability to you for any matter shall be limited to the amount actually received by FlyersATL on account of your purchases from FlyersATL. This site contains graphics, photographs, images, document layouts, artwork, text, fonts, software tools, and other information (“Content”). You may not retain, copy, distribute, publish, or use any portion of the Content except as expressly allowed in these Terms of Service. FlyersATL reserves the right to add to, delete from, or modify any part of Content at any time without prior notice. The image design tools provided on this website employ a limited number of elements, including icons, fonts, color schemes, and design effects. FlyersATL reserves the right to use all such elements and to make all such elements available for use by other parties in the future. You do not obtain any right or claim to any of the individual image design elements through your creation of an image design and/or your incorporation of an image design into one or more products. Other FlyersATL’ customers may use the same design tools to create images that have similar or identical combinations of these elements. FlyersATL does not guarantee that your image will not have similarities to images designed and used by other parties. FlyersATL provides no warranty of any kind that image designs created using the design tools will not infringe, or be subject to a claim of infringing, on the trademark, copyright or other rights of another party. It is solely your responsibility to obtain the advice of an attorney regarding whether any image, mark, logo name or design is legally available for your use and does not infringe on another party’s rights. In using the Service, you may not place or reproduce any trademarks, service marks, or logos that you do not have the legal right to use. (Words, names, and designs used to identify services or products are considered trademarks, service marks, or logos). FlyersATL has the right to reject any materials or Content which FlyersATL, in its sole discretion, considers to be obscene, defamatory, criminal, in bad taste or in any other way inappropriate (whether or not to print such materials would be illegal or unlawful). The same policy applies for copyrights. You may not use copyrighted materials from artists, photographers, publishers, writers, composers, and other authors of original works unless they are licensed to you by the copyright holder. While FlyersATL does not pre-screen Content, FlyersATL shall have the right (but not the obligation) in its sole discretion to remove any Content that violates the Terms of Service or may otherwise be objectionable. FlyersATL may preserve Content (but has no obligation to do so) and may disclose any Content including if required by law or if it believes that such preservation or disclosure is reasonably necessary. FlyersATL does not censor any material on this website nor review material to determine whether it is in compliance with the law. Consequently, FlyersATL shall have no liability for materials that are subject to copyright or trademark protections or that is otherwise in violation of the law. FlyersATL does not control the Content posted by Customers and does not guarantee the accuracy, integrity or quality of the Content. FlyersATL shall not be liable to you for Content on our website that you may find offensive, indecent or objectionable. FlyersATL may establish general practices and limits concerning your use of the Service, including, without limitation, the maximum number of days that FlyersATL shall retain designs or other uploaded Content, the maximum size of any Content, and the maximum storage space that will it may allocate to you. FlyersATL is not responsible for the deletion or failure to store any Content. FlyersATL may delete Content stored on the Service which is inactive for an extended period of time, or for any other reason including changes in its business strategy. FlyersATL does not check any submission for spelling, grammar, or any other errors. The design will be printed as it appears during the approval step. It is your responsibility to ensure that all materials submitted for printing are formatted correctly. If you decline the file review service, the design will be printed as it appears during the approval step. It is your sole responsibility to ensure that all materials submitted for printing are formatted correctly. Limited Warranty for Products Ordered. FlyersATL guarantees prints you order and pay for will be in accordance with CMYK industry standards for pleasing color. We offer no guarantee of “match-print” color fidelity and cannot prevent slight color shift throughout an order. FlyersATL does not guarantee color will match the preview as it appears on a customer’s monitor, because monitor colors vary. FlyersATL is not responsible for any color shift that occurs in conversions from RGB to CMYK color modes. We recommend all custom designs be designed in CMYK and uploaded in CMYK. You may also upload in RGB if you choose, but the color will be converted to CMYK and may not be accurate. If you do upload in CMYK, we ask you to design using our preferred color profile for better color accuracy. FlyersATL uses the GRACoL2006 Coated V2 color profile. Orders will not be defective due to printing errors, coating errors, cutting errors, or bindery errors if they were designed within FlyersATL design specifications. You may not be able to print or write on the product after purchase. FlyersATL’ products are often coated and can be difficult to print on. UV coated products cannot be printed on while matte covered products may require commercial printers. Satin matte finish allows for easier writability compared to our UV gloss finish. It is your responsibility to test using a sample and verify that your printer or pen will work before placing an order. Samples can be ordered online for free. FlyersATL cannot be held responsible for un-usable QR codes and /or Microsoft Tags after print. Please test the code with the application before file submission. Immediately upon receipt you should inspect all Products to ensure there are no defects and that the order is complete. If a print is found to be defective, FlyersATL require fanned out photos to show a sampling of the defective product from the front, middle, and end of the package(s) prior to taking any action. FlyersATL is an international company with printing and shipping locations across the United States and Europe. While we make every attempt to ship from the location nearest you, your order may come from any of our locations. Packages shipped outside of the country of origin may be charged a duty based on the receiving country’s import tax. Delays can occur depending on your country of origin due to customs. FlyersATL is not responsible for the payment of this fee or any delay caused by customs. FlyersATL utilizes third-party carriers to deliver orders and it is not liable for delivery problems. FlyersATL makes no guarantee about time in transit of any shipping method. If you do not receive an order by the expected delivery date, or it arrives damaged, you should email service@overnightprints.com or call (888) 677-2000 and include invoice number. Except for the foregoing limitations, FlyersATL shall make commercially reasonable efforts to make sure that products ordered before 8:00 pm Eastern Time will be delivered on or up to the date you choose during the checkout process. FlyersATL’ cutoff time of 8:00 pm EST is based on the time we receive notification of a payment clearing, and order acceptance in our production system. Therefore, please avoid placing orders close to cutoff time to avoid delays. Orders placed on hold for any reason may encounter delayed deliveries. FlyersATL may have a shortage discrepancy of up to 5% on products. If this occurs, we will grant a prorated store credit, refund or reprint for the number of cards up to the selected quantity. FlyersATL uses multiple printing presses (offset and digital) thus resulting in variances from order to order. We make reasonable attempts to utilize same type presses to fulfill orders on same invoice, but we cannot guarantee it. Refused or undeliverable orders that are on time are not FlyersATL responsibility and these are not subject to reprint, store credit or refund. Orders returned without an RMA to FlyersATL as undeliverable may be recycled or eligible for reshipment based on the reason of the failed delivery attempt. Please contact us via e-mail at service@overnightprints.com or by phone at (888) 677-2000 within 30 days of the scheduled delivery date. When a package is lost in transit, FlyersATL will, at its option, reprint with the same production terms or issue compensation. If the package is located by the carrier it will be rerouted to the customer promptly upon discovery. However if customer receives both original and reprint, customer will be required to pay for the reprint or return at FlyersATL’ cost. Shipping carriers typically require 10 business days for refund of shipping costs. If the package is not found, FlyersATL will require confirmation from the carrier prior to issuing compensation. When packages are damaged in transit, FlyersATL will reprint with the same production terms or issue compensation. Customer will be required to provide package and contents to carrier. Bookletis is the best solution when you have a wealth of information to share all at once. FlyersATL recommends payment via credit card, but you may also use PayPal to complete orders. Typical credit card payments clear within 5 seconds whereas electronic checks may take up to an average of 7 business days to clear. This will affect the delivery date chosen and push back your estimated delivery date for all orders are processed based on when payment is received. Please place your order at least 30 minutes prior to the cutoff time to ensure your order is available to print that night. All orders are printed Monday – Friday. If FlyersATL receives the confirmation after our cutoff time of 8 PM EST, orders may not print that night. FlyersATL cannot be held responsible for delays if confirmation arrives after 8 PM EST. FlyersATL must be contacted via e-mail at service@overnightprints.com or by phone at (888) 677-2000 within 30 days of receiving your order. FlyersATL require fanned out photos to show a sampling of the defective product from the front, middle, and end of the package(s) prior to taking any action. If the product is not deemed defective, and customer chooses to keep the product, FlyersATL can issue a 50% store credit for the product cost towards a future order. If the product is deemed defective, and of FlyersATL error, we will reprint the order with the same delivery terms ordered. Since each order is custom made to customer and has no re-sale value, All Sales Are Final. Full refunds are only authorized with a Return Merchandise Authorization (RMA) Label based on Manager discretion. 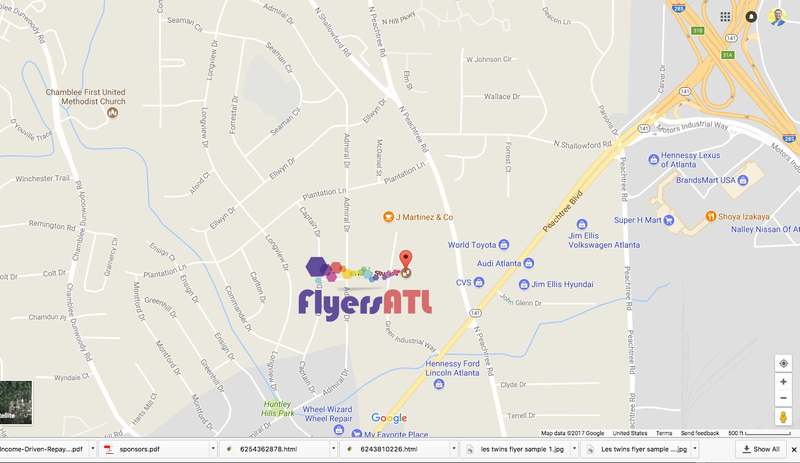 FlyersATL will issue a RMA number so the defective product can be returned for a full refund, but FlyersATL is not responsible for added pick-up or service fees. Orders that are returned without prior authorization will not be eligible for compensation. All authorized RMAs will go through a Quality Control check prior to the compensation being issued. All defective merchandise, including any and all reprints of the defective set(s) must be returned with an RMA in order to receive a full refund on the defective product ordered. FlyersATL does not offer any compensation for customer errors under Limited Warranty for Products Ordered. If the Product is found to be defective and you request a reprint, FlyersATL will reprint at no charge with the same production and delivery terms extending from the time of resolution. FlyersATL may require samples and photos of the defective product prior to taking any action. If a print is defective because of FlyersATL error, then you may contact FlyersATL to request a reprint, an in-store credit, or refund. FlyersATL must be contacted via e-mail at service@overnightprints.com or by phone at (888) 677-2000 within 30 days of receiving your order. FlyersATL may issue a RMA number so the defective product can be returned for a full refund, but FlyersATL is not responsible for added pick-up or service fees. FlyersATL reserves the right to request samples or photos of the defective product before issuing a RMA. Orders that are returned without prior authorization will not be eligible for compensation. All authorized RMAs with in-store credits or refunds will go through a Quality Control check prior to the in-store credit or refund being issued. All defective merchandise must be returned if an RMA is required for an in-store credit or refund to be issued. FlyersATL does not offer refunds for any and all customer errors. Reference Section 3. FlyersATL does not refund, cancel or credit if the Service failure or defect is caused, in whole or in part, by acts of God, weather conditions, environmental or dangerous goods incidents, perils of the air, public enemies, public authorities acting with actual or apparent authority, acts or omissions of customs officials, authority of law, quarantine, riots, strikes, work stoppages or slowdowns, or other labor disputes or disturbances, civil commotions or hazards incident to a state of war, local or national disruptions in ground or air transportation networks or systems due to events beyond our control, disruption or failure of communication and information systems, disruption or failure of utilities, or other circumstances beyond our control. 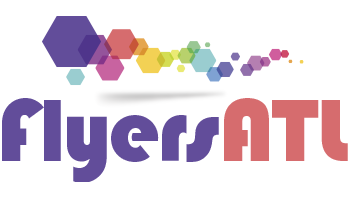 FlyersATL reserves the right to contact you via phone, e-mail, or post mail regarding current and/or future orders placed with FlyersATL and regarding changes to these Terms of Service. Any customer may opt out of receiving future contact from FlyersATL at any time, by unsubscribing from our email correspondence. The Terms of Service constitute the entire agreement between you and FlyersATL and govern your use of the Service, superseding any prior agreements between you and FlyersATL.